Negotiations is often a straightforward and quite predictable thing. You open a bit higher than what you want to get and using all possible negotiating levers, you land close to your initial target. Sometimes slightly higher, enjoying unexpected payoffs and some other times a little lower, estimating your losses and trying to make up those through skilled trade-offs. Often though, things are much more complicated and so is with the naming dispute between Greece and “Macedonia”. 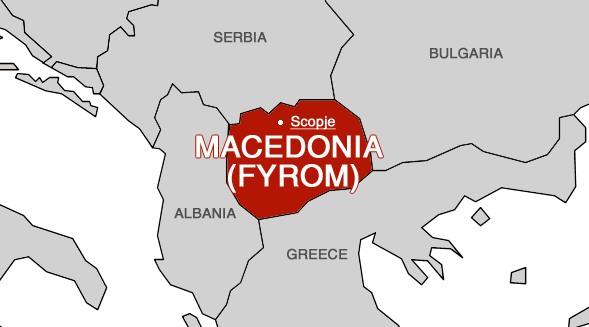 Even the fact that me, a Greek, for communicating this to an international audience, I need to refer to the northern neighbor of my country using the name “Macedonia”, shows how deep rooted the problem is. I can hardly forget that back in 1998 when I was heading the sales of Alcatel mobile phones in Greece & Cyprus, the Greek parliament requested to remove the name Macedonia from our mobiles. There was a drop-down menu with the country codes of all countries. After I explained the situation to my very much surprised French colleagues and after they checked with their foreign office, they did make the change with the new software release. That was an unforgettable experience for me. I found out that is only us, the Greeks, that do not call those guys “Macedonians”. Macedonia was part of Greece since the ancient times and their language was of course Greek. But more than a century ago, Macedonia, the northern part of Greece and Salonica in particular, was a fascinating multicultural crossroad of different religions, nations and languages. Orthodox Greeks, Bulgarians, Serbs, Spanish Jews, and Muslim Turks. This lasted till the Greek army in 1912 marched in. The today so called “Macedonians” were part of Serbia since 1913 and part of kingdom SHS from 1918 thru 1941. Then part of Tito’s SFR Yugoslavia from 1945 thru 1991. The issue is that in 1974, Yugoslavia changed its constitution and each one of the 6 regions became a pretty much independent Republic, something that led to the 1991 dissolvement of Yugoslavia. “Macedonia” was one of those six regions. And Greece, busy in 1974 with problems way bigger, struggling to get rid of the Colonels, dealing with the invasion of Cyprus and trying to re-establish Democracy, failed to foresee the future danger and oppose the change of Yugoslavia’s constitution. Today’s demonstrations is not a brand new thing. In February 1992, there was another big protest and the crisis between Antonis Samaras – Minister back then and PM later – and his PM Konstantinos Mitsotakis, made the latter to step down. The Socialist Andreas Papandreou took over, playing hardliner and refusing to accept the wider use of the constitutional name “Macedonia”. Lately, the left government of Alexis Tsipras seemed to be more conceding and willing to discuss and negotiate the hot issue. The American mediator put on the table names like “Upper Macedonia” that look like being accepted by both parties. The consensus of the Greek party, necessary to our northern neighbors for becoming a full NATO member, was closer. And then an unexpected – or perhaps expected – factor popped up. A huge weird crowd in Greece consisted of right-wing populists, right-wing extremists, nationalists, anti-Tsipras protesters and of course genuine, good natured patriots, joined their different agendas and demonstrated massively, opposing any name that would include the word “Macedonia”. A huge heterogeneous group of people that Tsipras is hard to blow off easy. On the other side we have our neighbors. I visited Skopje few years ago. I spent two weeks there and I met with fine locals. People that were less concerned with names. They cared more about democracy. They were concerned about having a government that invests in building huge statues and recreating history instead of roads. They were worried with living in a place that is ruled by intelligent services. These people are definitely not a threat for Greece. Maybe their government is or those that back up their government but not them. In Greece, many times husband and wife negotiate over the coming baby’s name. Usually, husbands want to name their boys after their father and this is their red line. But one way or another they come to some agreement. This naming dispute is rather complex and so is the negotiation around it. What is the larger context of these negotiations that every day people like me fail to see? Why they were more concessive than their predecessors? What were the things in exchange? What is it that Greece will gain for conceding? Can they leverage on those protests and how? What is their fallback plan? Do they have one? What is the hidden risk and how they plan to handle it? In this uncertain environment, one thing is certain. Tsipras needs to treat Greeks with bigger transparency. 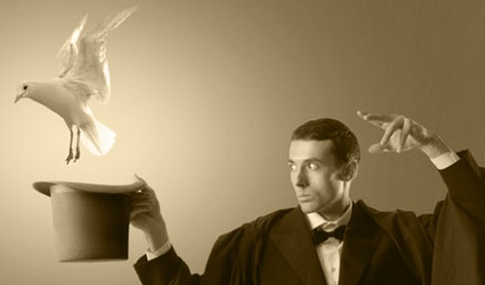 Do they negotiate you, getting pigeons out of the magician’s hat? 1 “Apple to apple” – this will probably come from procurement that first they love commoditizing you and second they want you to do their job. They will ask you to propose using their models for comparing apple to apple. Do not accept but do not refuse either, mentioning some policy you cannot overcome. They care less about your policies. Insist to submit your proposal as usual and show good will helping them to make sense out of it. 2 “Everybody likes playing procurement” – EBITDA is a Key Performance Indicator for most organizations today. Even traditional allies and sponsors at your customer will start trying to get concessions from you. Keep this need to get concessions in mind and save some extra fat in your margin. 3 “Your weakest link” – Those negotiating with you will remind you of shortcomings in their past experience with you in order to earn a concession. Even if they have a valid point, be prepared to discuss those and turn the focus back towards past successes. Leverage your past wins to the point they outweigh your past problems. 4 “Good and bad cop” – is a time honored show. The good cop shows up promptly and sets a friendly discussion. Later, the bad cop enters with an imperious attitude. He will try to escalate tensions, forcing you to play their game, and as a result leave big bucks on the table. A bad cop will make an irrational demand, then leave the smugly meeting earlier having made his point. His colleague will switch to a more collaborative mode, saying they are willing to help you, if you help yourself by conceding something. The demand won’t be as irrationally excessive as the one from the bad cop, but he’ll push you to go further than you want. Stay calm through the storm and regain control. Regain control by expressing your feelings without getting personal, and seeking to understand the reasons behind their request. If you decide that concession is necessary, concede but ask for something in exchange. 5 “No time” – Your customer who had been taking their time may force concessions by bringing out a heretofore unknown “critical deadline.” Probe to determine what, if any validity there is behind this request. Explain that you can’t meet their deadline without them committing to something you need. Two can play the deadline game! Knock the ball back into their court. 6 “Magician’s hat” – that rabbits and pigeons come out of. This is how they treat you. Every time you make a new concession and you agree on one negotiable, another request pops up. If they like playing magicians, you play juggler and keep all the negotiables up in the air without making commitments. Show good will, park them but juggle, keeping them up in the air without making commitments that you cannot easily take back without giving them an excuse to raise tension. Remember that nothing is agreed until everything is agreed. 7 “Future concessions” – they promise you, telling you not to worry. Do worry! If they promise you a greater scope in the future for making you concede on another negotiable today, ask questions to understand if they mean it and try to put in the agreement a tangible scope roadmap. If you are not convinced for their honest intentions, promise future better terms too. 8 “Take it or leave it” – a stressing ultimatum. Taking in consideration that we are talking about two serious organizations and professionals negotiating, this cannot be but something they do not really mean and they only test your patience. Never say you want to “leave it”. Explain why you have a difficulty to “take it”. They will come back. 9 “Last minute concern” – when you are holding your breath and the pen for signing the contract. They know that you are dying to go back to your manager celebrating your victory and you are vulnerable to anticipate their big last minute concern with a big last minute concession. Do not. Ask for time to resolve their concern. Tomorrow is another day. 10 “Price matters only” – they tell you. Because their job is to keep you trapped in negotiating price only for reminding you that you are all the same. Fair enough. Your job is to bust this commodity fake perception, creating quantified value for yourselves and your organization. Think of all the possible negotiables that bringing in, you can together with your customer be creative and make trades, reaching a win-win outcome. We could wrap up in few key words: Be prepared, stay cool and handle smart. 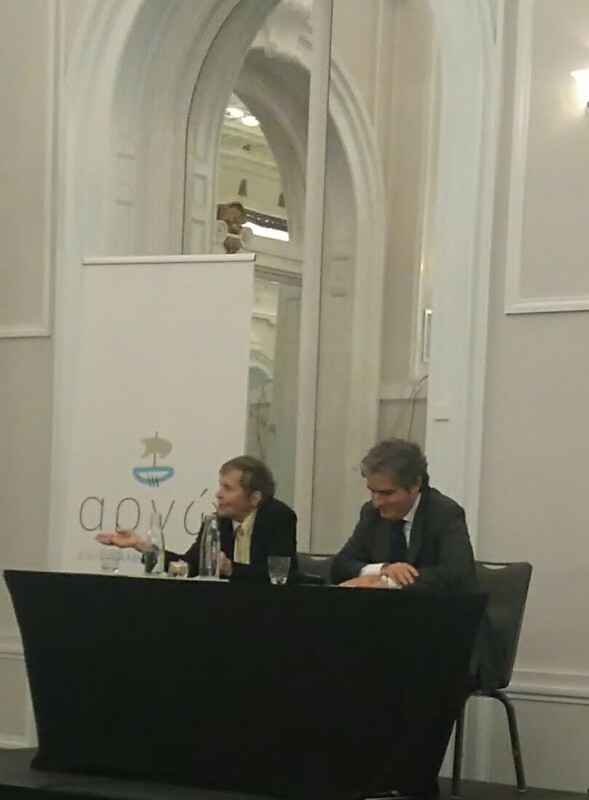 Last evening, I had the luck to attend a dinner where keynote speaker was the Greek-French prominent academic and Byzantinologist Dr Helene Glykatzi Arweiler who was the first woman Principal of the University of Paris 1 Panthéon-Sorbonne. Later she was named Dean of the Academy of Paris and Chancellor of the Universities of Paris. An amazing woman. An amazing woman that despite her 90 years, she stays sharp, inspiring, fascinating and eager to share her remarkable lifetime experiences. I particularly loved one of the many impressive points she made and stories she shared. Dr Arweiler said that the opposite of “truth” is not a “lie” but another “truth”. Thus, we tend to oppose the other that has the “other truth”, the “other absolute truth”. “Truth” is supposed to be something that bring us closer, not put us apart. But the more we believe that we hold the “absolute truth”, the more we hold on our positions, the more we get closer to “absolute lie”. Because “absolute truth” and “absolute lie” are best friends. I left the event astonished and thoughtful. Although Dr Arweiler did not intend of course to make any hints and links with commercial stuff, I could not resist in doing that. Don’t we often stick with our “absolute truth”, refusing to see the “other truth” of the other party? Don’t we see the “other truth” as a “lie” because it is other than “our truth”, other than our priorities and needs? Don’t we fail this way to seek for and negotiate on the common ground that would fill in the between us gap? Don’t we result in getting extremely competitive, failing to protect the relation with the other party? Don’t we waste ourselves in exchanging irritating lines and being defensive and aggressive, taking the fast lane to a deadlock? Because “absolute truth” and “absolute lie” are best friends, as Dr Arweiler said. Is Donald Trump a bully or a skilled negotiator? I don’t want to talk politics. I want to talk negotiations. I want to talk about and have a close look at Donald Trump’s negotiation skills. Last weekend, I had the luck to read the brilliant analysis https://www.linkedin.com/pulse/donald-trumps-negotiating-profile-its-consequences-us-dimarakis?trk=prof-post of Yannis Dimarakis, a professional trainer that specializes on Negotiation Skills and I shared his gem with some friends and colleagues that I knew they would see value in this. There I had the luxury to get the feedback of Jack Williams, another excellent negotiations professional trainer and consultant. Two different angles, two different perspectives that I would not dare to criticize. I will only try to put together and give you the chance to see two different views, equally powerful. I will not bother answering this silly question of mine. As Yannis Dimarakis says: “Negotiations being an art and not a science allows us to carry different opinions and approaches on different issues. We can thus engage in an endless exchange and still not convince each other. And this is not a bad thing”. On the contrary, it is awesome having two smart and skilled pros giving us two different views. Maybe, influenced by the negotiations school they come from or their overall opinion about Donald Trump. As Jack Williams says “…just think he’s been savvy and skilled in negotiations tactics with what I know of his business dealings”. Wrapping it up, I see that Donald Trump loves playing with tension. He sees tension as an ally. He uses tension. This is fine. Tension is like a rubber band that if you don’t stretch the other side will, dragging you into negotiating in their playing field. The million dollar question that has been bugging me is: Donald Trump uses or abuses tension? I would love to have Jack and Yannis vis-à-vis, deep diving into this. I usually comeback from my summer vacation, having some spicy customer service related story to share. It is not the case this time. I have nothing particular worth writing about. I am back though full of lovely memories and pictures. 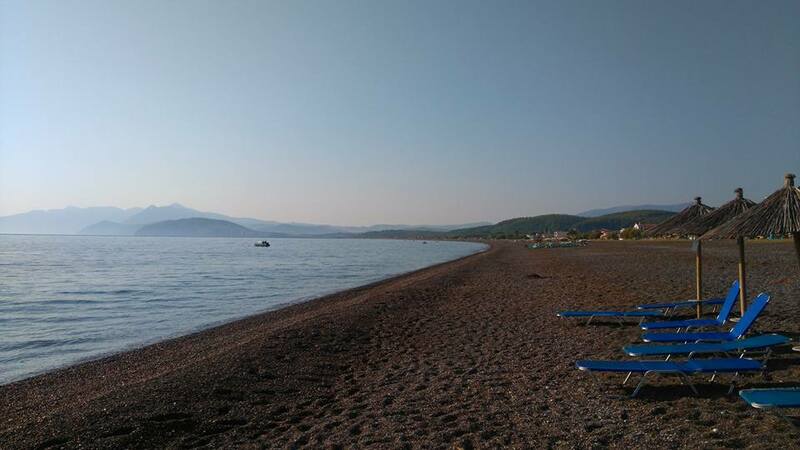 Swimming for hours in the cool blue Aegean, sunbathing and reading crime novels of beloved authors like David Baldacci at blond sandy beaches, biking by the coastline through green vineyards, hundreds years old olive trees and the temple of Poseidon of Cape Sounion. But the thing that always strikes me the most is family and friends get togethers. Loughs and jokes mixed with raki shots while barbecuing, after swimming cold beers with good friends, watching movies in outdoor cinemas, relaxed talks with my wife and daughters away from every day routine that is slowly knocking all of us out. And I love dealing with those vacation dilemmas. Drink white or red? Cook out pork chops or lamb chops? Head to a sandy or pebble beach? Yes, vacation is a non-negotiable. It is a non-negotiable despite the times of crisis that we all experience. After all, vacation does not need exotic destinations, 20 m boats and five star hotels. You can enjoy fine vacation at the little house that your grandpa has in a little village of the countryside. You can be hosted at a good friend’s summer house. You can go camping or why not, free camping. As long as you have family and good friends around you, the rest are nothing but minor details. Family and friends do make the difference only. Harvard Law School, one of the most reliable institutes when it comes to Negotiation research and training, announces the 2015 Golden Raspberries in negotiation tactics. The Greek new government is the undisputed winner. A week ago, I delivered a negotiation skills training in Athens where the participants were eager to discuss and review the current Greek negotiation case. I didn’t do that although it was very tempting because it could be something getting the training off track. Maybe, it is time to do that now. Tension is a good thing unlike what many people believe. Negotiation tension is something you got to create, embrace and manage right in order to get in control and negotiate in your playing field. If you fail to do that, then it is the other party that will do it, dragging you to negotiate in their playing field. Having this little rule in mind, Alexis – please allow me to call this negotiating party Alexis for making things easier– played right in the beginning. He started competitive, creating tension and hoping to get attention and control over the negotiation. This way he would protect his self-interests. Fine with that. Did Alexis switch early enough into a more collaborative approach managing to save the relationship and maintain trust? Alexis did set high targets as you are supposed to do in a negotiation. If you don’t and the others do, you are left with two options: deadlock or cave in; stop negotiating and walk away or concede and “leave big money on the table”. But the guy did set high and ambitious targets. The question though is the following: were those targets feasible? Were they realistic? Were they within a range of reasoning? Something that helps to set targets within a range of reasoning is: do your homework right having the right information and assess the power and strength of yours and the other party’s in a realistic and honest way without cheating yourself. Did Alexis had a fair understanding of his and the other party’s power? Some people like calling in BATNA – Best Alternative To a Negotiating Agreement, some others Plan B. It doesn’t matter how you call it. What matters is to have one. Another thing that matters is to show the other party you have a good fallback plan and send across a message of power and do that in a way that will not irritate the other party. The idea is to show and use power, not to abuse power. The sky does not rain fallback plans of course. Fallback plans are made and developed down the road. Last but not least: fallback plans cannot be fake. Fake fallback plans backfire and get you in serious troubles. Did Alexis have a real, solid, robust fallback plan in case he would walk away? Me and you could argue for ever over one damn glass of water. It is very easy. Suppose that you say “I want THIS glass of water” and have me replying “I want THIS glass of water” and keep on repeating ourselves again and again. The more we’ll play this game the more we will be getting thirsty and aggressive, the more we will be ignoring the plenty of orange juice around us, the more we will be getting stuck in the competitive part of the negotiation, the more time will be flying and when time flies is in the favor of the strong guys. Did Alexis manage to see around and identify negotiable issues that could help him get off this competitive hook? Did he manage to identify the common ground that would help him avoid deadlock? Alexis played very competitive in the beginning. Fair enough. This is by the book as we already said. Then he tried to switch into more collaborative behaviors. Fair enough again. But he failed to see the common ground. The creditors were seeking for a technocratic ‘numbers matching’ solution. He never stopped pushing for a ‘political solution’ so called. The result was an ‘I want THIS glass of water’, ‘No, I want this glass of water’ situation and a spiral of attacks and defend/attacks behaviors from both sides. And time was flying. And mistrust and aggravation was rising. And his allies were running away or, even worse, were teaming up with the other party. Lack of time pushed him in the other party’s playing field. Didn’t Alexis see that coming? What happened to his reflexes? Why he let himself be dragged and trapped in negotiating in the others playing field? He was left with two options this way: cave in or deadlock. Greeks like saying “outside the dance, you can sing many songs”. But there are a couple of things he should know about before he drives Greece in this cruel war. He should know that the creditors are neither naïve kids that play around sucking their thumb nor sensitive charity organizations touched by the figures that prove the existing poverty Greeks are experiencing. On the contrary, they would anything so he would screw up. That is something he should have taken in consideration while setting his targets. He should know that the mandate he had from the Greek voters was contradictory. They wanted everything. They wanted to stay in Europe and see the debt going away or at least its terms improving drastically. After all, it was him that promised them EVERYTHING. He should know that his political party was not homogeneous at all, making it difficult for him to concede, even if the concessions were descent enough. He should have planned way better. Between caving in and walking away, he chose neither one. He chose to turn back to the voters and seek for a solution. That is democratic, I have to admit. But, unless there is a brilliant and creative plan behind this decision that I have a difficulty to understand, unless his fallback plan is smarter than the primary one, I am afraid that Alexis ended the negotiation at this point. I am afraid that Alexis wasted the last good chance Greece had to win something and make the next day more viable. It is sad because he actually wasted the chance he created himself, something that is good but not enough. No matter what ‘Sunday’ result is, this negotiation is history. This drama is history and like all the previous ones does not seem like having a happy end. Greek dramas never had a happy end. Just got back from Sales Transformations & Conversations that Win, a sales conference in London organized by Association of Professional Sales in partnership with Corporate Visions Inc. There I had the privilege to represent Ericsson and speak about communicating value and protecting our price margins. I also had the chance to listen to experienced sales practicioners and academics focusing on best practices and research on sales. We all know what is right. Salesforce know what is the right thing to do. Sales Enablement professionals know what is the right thing to do. But when it comes to execution, we all look at the other direction. It pretty much feels like when I visit London and I have to cross a street. I know that I have to look right. There is no bigger letters than the ones locals use to remind me to LOOK RIGHT, but still I look left every damn time. Why we keep looking at the wrong direction? Why we have a hard time to get off our comfort zone ? Why it is so difficult to get over our habits and do the right thing? Not that I got no answers during the conference. Not that I did not contribute myself a little in answering those questions. But I have the feeling that we have a long way to go. We are on the right track but we have a long way to go, if we really want to change; if we really want to develop. Although the negotiations between Greece and its European partners are still on – a process that will not end any time soon, we can take a snapshot and have some initial assessment of the recent results. Right after the elections, the Greeks toured Europe (and not only) trying to pull allies such as Obama. They tried to create and show off a fallback plan by linking with Putin. They demonstrated creativity, proposing the bonds’ swap; a proposal that did not seem to have a receptive audience. The other party, led by the Schauble that found some strong supporters in the threatened right governments of the south, had a firm position according with things should pretty much remain the same; repeating again and again that the Greeks should continue with and honor the existing memorandum. Finally, the two parties came to an initial agreement for four months extension to the four year bailout until a final deal with the new government on the debt crisis is reached. Also, the Greek government submitted a list of economic reforms that was a prerequisite for the review scheduled for April, so that Greece could count on more financial aid to keep going until negotiating a further debt in the summer. However, many of these proposed reforms were seen as major concessions by prominent radical left members of Syriza, triggering tension internally. Also, the opposition parties from left and right seized the opportunity to accuse Syriza and talk about a “new left memorandum”. Did something go wrong? Could things go better for Greece? It is really hard to say when you do not know the whole context and background; when you lack info of things happening behind the scene. In principle, you are supposed to position high and strong creating the necessary tension in order to drag the other party to negotiate in your playing field. But focusing on what we do know, we see that both Alexis Tsipras and Yanis Varoufakis, trapped in their electoral tactic and commitments, were way too adversarial. Tsipras sent a blunt message to the German government, claiming the World War II German debt and the war reimbursements; Varoufakis had a TV show attacking Dijsselbloem, Eurogroup President. When they decided to play creative, collaborative and focus on the relationship, it was a bit too late. The other party was aggressive and task focused on protecting its self-interests. In addition, Greece had the time ticking. A few days later, the Greek banks would collapse. So, the Greek government, given the little negotiation power, given that a potential Grexit seemed to be unpleasant for Europe but disastrous for Greece, given that the mandate from the Greek electors was NO to the memorandum but YES to Europe, given the tough conditions and the fact that they finally had to negotiate in the other party’s playing field, could not but to make major concessions. They did give a lot of ground, basically staying stuck with November 2012 agreement. What if I wanted to lose? A few minutes later I posted that on fb and I had many fellow trainers and good friends reminding me that this is not but bargaining and whoever splits the difference first usually ends up losing. True. Absolutely true! Chrysa was somehow forced to leave back her home, elder sister, grandparents and beloved friends and all she has left for staying in touch with is skype and phone. This is how she participates in her friends’ pyjama parties and plays ‘dolls’ with her grandma. That is why I wanted her to win and me to lose this time. That is why I was willing to make quick concessions and make her feel like she had a nice sweet win. Billy is a cute four year old boy. He is in the mall, walking around and holding hands with his dad. All of a sudden, he spots a toy! It is his favorite superhero winking at him. It is exactly the one he saw on TV the other day. He wants it big time. He leaves his dad’s hand and he grabs HIS superhero. Dad realizes that things are getting a bit off track and tells “Billy, you know we have tens of those things at home”. Billy stays cool and replies, raising his voice “I do not have it in blue, neither with such helmet”. Some of the people passing by start staring at them. Dad feels really uncomfortable, he takes the toy off Billy’s hands and he puts it back on the shelf whispering at Billy’s ear “we have come here for another reason”. Little Billy toughens his position. He bursts in tears and starts screaming and yelling at his dad “Dad I told you I want it”. Now, everybody that is passing by starts staring at them wondering whether the poor kid is getting abused. Dad starts sweating and there it is that little Billy gives his final stroke “Tomorrow, you will go on a business trip again and I will have nobody to play with”. Are things much different in our world of business? Is the pressure we get from customers any smaller? Isn’t procurement, with its rising power, getting more and more demanding? It is expected customers to ask for better terms, particularly regarding pricing. That does not mean though that we have to concede every single time. Because this way, we depreciate our products and services and we underestimate ourselves. This way we enter in “discount business”. Do not rush in negotiating. If you tell Billy that you will take him to the movies if he finishes his meal, most probably he will end up eating popcorn watching Toy Story. First persuade and then negotiate, if necessary. Do not concede. Trade! Even if the thing you are about to give away is not that important. This way little Billy will have a “give and take” first lifetime experience and your customers will have reinforced something that they have definitely experienced before. Think of your levers, stuff of little importance for you that the other party values high. Maybe it is important for Billy to meet and play with his cousin Lisa. It is a little hassle for you but you will get to see your sister after weeks. Maybe customer can have the 90 days payment terms is asking. After all, this is the company policy and it is only your department that insists in 60 days. So, you know now what to trade! Get (and work to improve) a backup plan in case the negotiation goes on a deadlock. You will be a lot more confident this way. However, have in mind that the other party might have an alternative solution too. Little Billy knows that if things do not work out with you, grandpa is always there for him. …and perhaps you will avoid buying little Billy one more superhero or ice cream every time he cries!